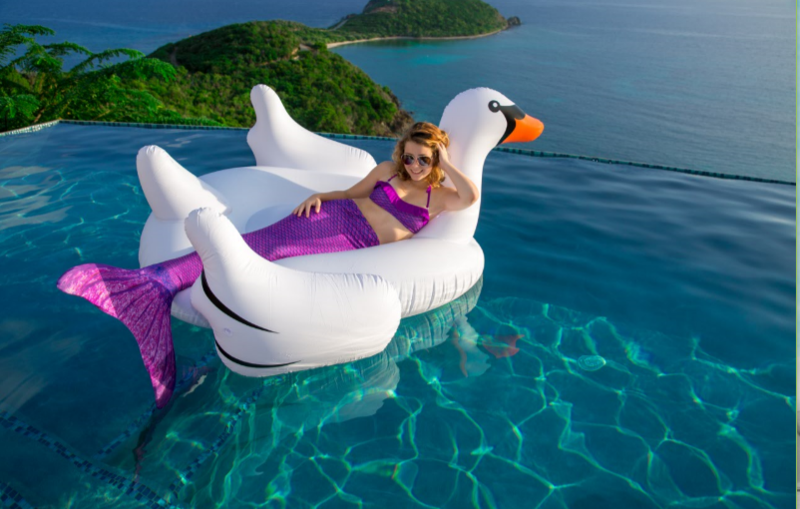 Dreaming of a mermaid life? 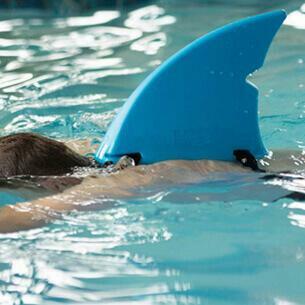 There’s boatloads of reasons why sporting a fin can prove beneficial to your overall well-being! 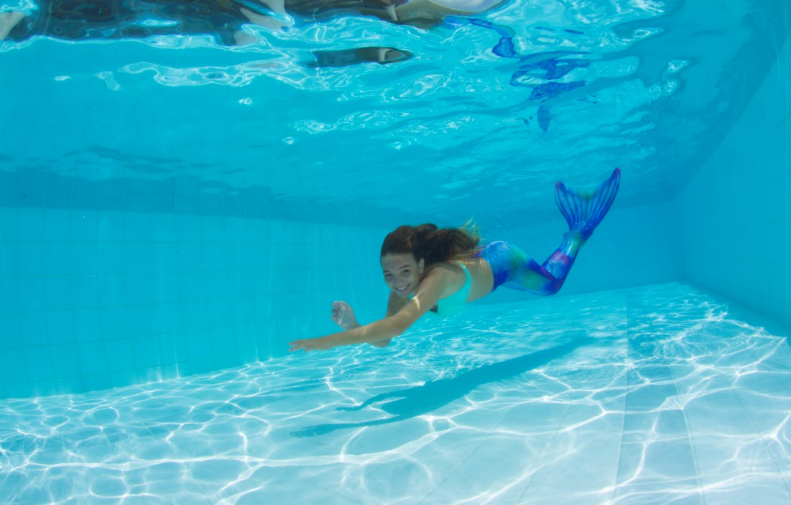 Besides being a super fun way to play, mermaiding also provides an extraordinary workout and so much more! 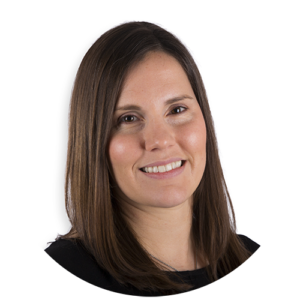 We asked Fin Fun’s in-house swim instructor Christine Dustin to list the top 10 benefits of mermaiding! Here are her answers. 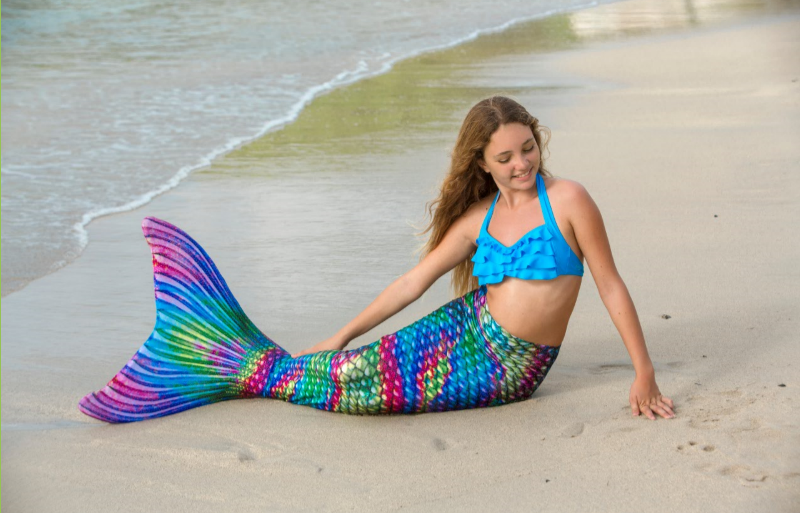 Mermaiding is a full-body workout! It tones your body’s muscles from head to fluke. When you’re moving through the water, you’re relying on your arms, shoulders, back, glutes, legs and especially your core for propulsion. This means you’re using almost every muscle in your body—all in the name of fun! Moving through the water provides unique resistance. You can even vary the intensity of your movements from small sculling movements to quick underwater dolphin kicks. Swimming improves flexibility. When you elongate your body from fingertips to fluke during a swim, you glean all the benefits that come from a good stretch performed anywhere on land. Underwater activity strengthens your heart and lungs. 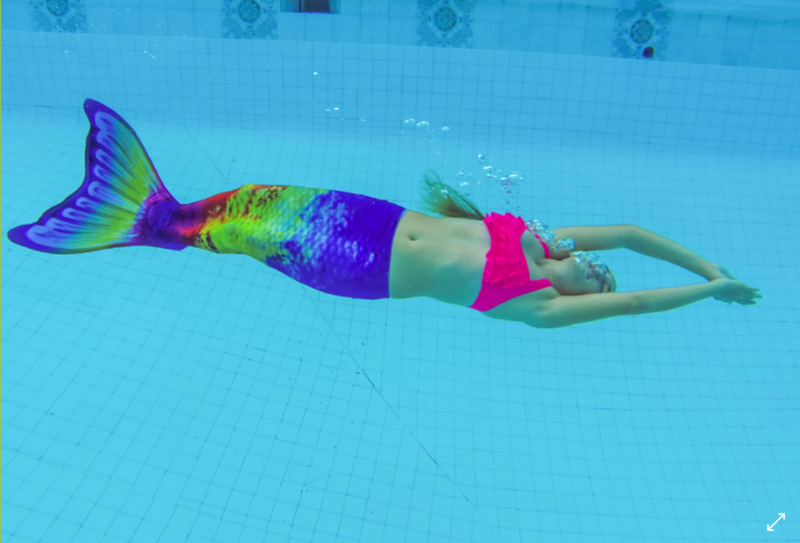 Mermaiding elevates your heart rate and improves your endurance. Swimming underwater also improves your lung capacity. This improvement to your cardiovascular system can have a huge impact on other sports and activities you participate in. Aquatic exercise helps you lose weight. 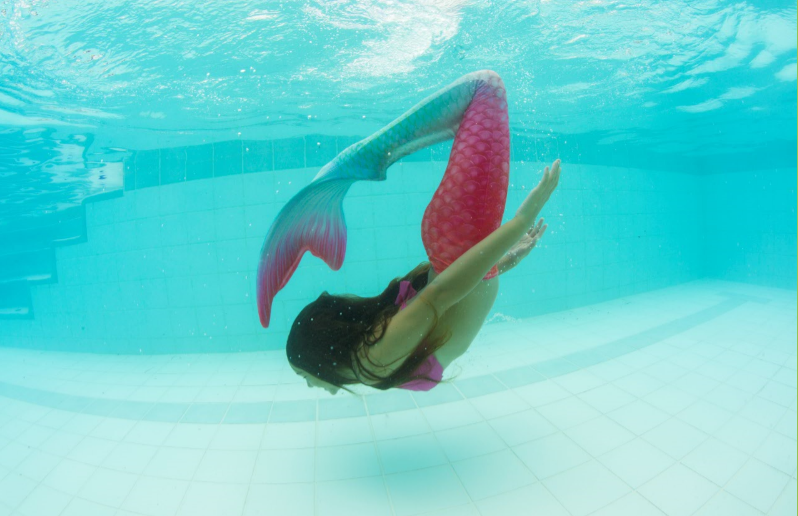 Because of the weight-bearing properties of water, mermaiding is a great way to lose extra weight without risking injury. 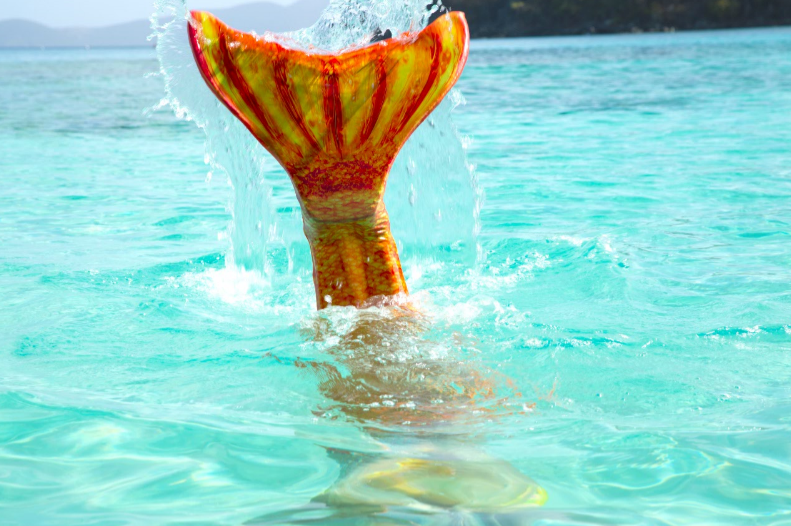 If you’ve struggled in the past to find the perfect workout, try a mermaid tail on for size! Mermaiding is a low-impact sport. This means a low risk of exercise-related injuries. It may also allow you to mermaid when other exercises are painful. It has been shown to reduce pain with some illnesses and disabilities. It builds confidence. Mermaiding is a great way to express yourself. Moving your body with strength is empowering! There’s something about putting on a mermaid tail that affects your mood in a positive way. Flipping your fin may help you live longer. Researchers at the University of South Carolina found that swimmers had a 50% lower death rate than runners or non-exercisers. Other studies have shown swimming lowers blood pressure and helps control blood sugar. 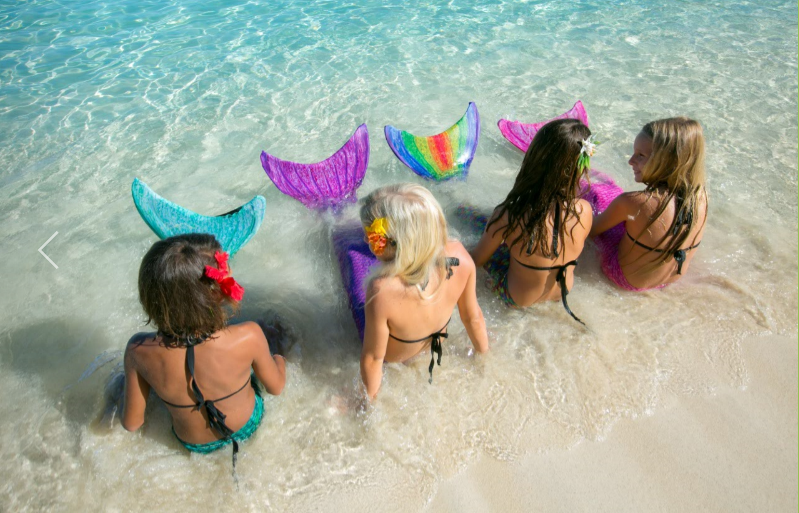 Being a mermaid may improve your mood and help manage stress. It is a great mental break to be underwater. You can stop thinking and be present in the water. Studies have shown a swim can quickly reduce stress. It’s a sport for all ages. 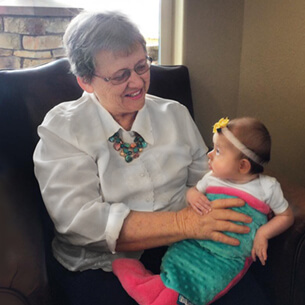 Mermaiding can be enjoyed whether you are nine or ninety, and even feels great during pregnancy. 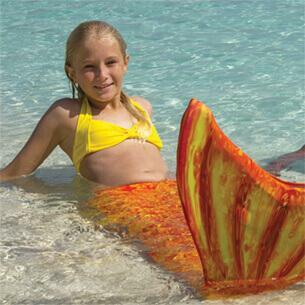 It’s never too late to sharpen your swimming skills and transform into a mermaid!